In the past four decades, information technology has altered chains of value production, distribution, and information access at a significant rate. These changes, although they have shaken up numerous economic models, have so far not radically challenged the bases of our society. 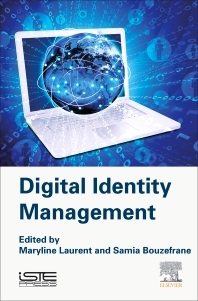 This book addresses our current progress and viewpoints on digital identity management in different fields (social networks, cloud computing, Internet of Things (IoT), with input from experts in computer science, law, economics and sociology. Within this multidisciplinary and scientific context, having crossed analysis on the digital ID issue, it describes the different technical and legal approaches to protect digital identities with a focus on authentication systems, identity federation techniques and privacy preservation solutions. The limitations of these solutions and research issues in this field are also discussed to further understand the changes that are taking place.